What in the world is nutritional yeast or “nooch” as it is sometimes called? Why should you include it in your diet? Nutritional yeast is a deactivated form of Saccharomyces cerevisiae. Ok, but what the heck is Saccharomyces cerevisiae? That’s the scientific name for the yeast used is making bread. The yeast is grown on a food source, like molasses, and then harvested, heated and dried. Ok, great. Why do I care again? You care because it’s a nutritional powerhouse and so so good. By the way, I am not an affiliate of the nooch people. Nutritional yeast or nooch or heck, call it hippie glitter, is loaded with B vitamins. And you don’t need to eat a truck load of it to get a meaningful dose of those B-vitamins. Just a tablespoon will be good. Know what else this little gem contains? Protein and fiber. So grab a spoon, scoop up that hippie glitter and spread that -ish everywhere, k? Nutritional yeast tastes good. No, not in a grab a spoon and eat it by the spoonful kind of way, you know, like cookie dough. But I add this to almost every meal I cook. It’s great for adding a salty and nutty kind of flavor. Some people use it as a cheese sub, but I’ve never really found it to taste just like cheese. It does add a good flavor to food though. If you want to dip your toe in the nooch, check out these 5 suggestions for adding it to some of your favorite foods. 1. Popcorn—seriously, spritz your popcorn with some olive oil, pour the nooch on top and shake or stir it to mix it all up. So so so good. 2. Spaghetti—spaghetti and marinara with a little nooch on top to give it a salty, slightly Parmesan flavor. Trust me, this goes well and is easy to stir in and hide from those picky eaters. 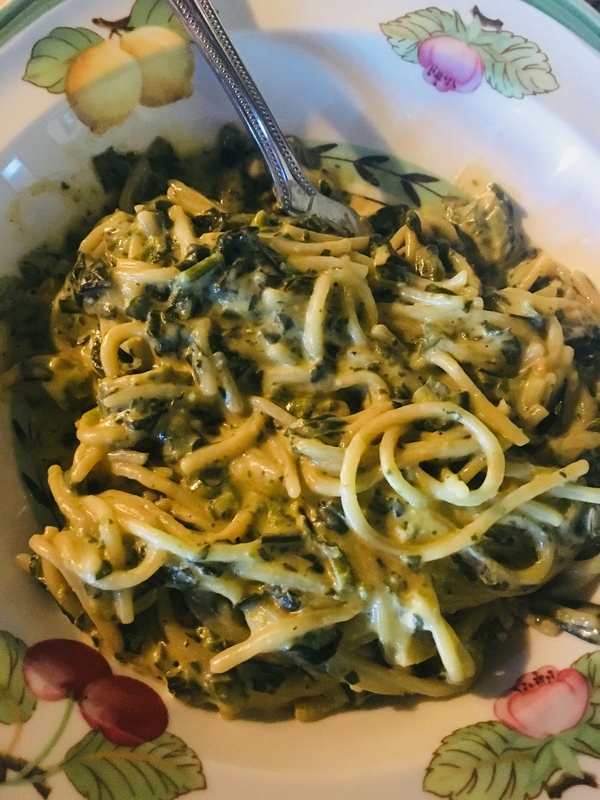 Check out my recipe for dairy free “creamed” spinach spaghetti. 3. Loaded baked potatoes/twice baked potatoes—I love making twice baked potatoes and I add nooch, olive oil, steamed broccoli, stuff that back into the potato and top with some panko breadcrumbs and bake in the oven. 4. Roasted broccoli—if you haven’t tried roasting your broccoli florets until they get crispy in the oven, get out there and do it. It’s my favorite way to eat broccoli and I may eat this broccoli by the sheet pan. When it comes out of the oven, sprinkle some nooch on top. So good it almost feels like junk food. 5. Literally any savory dish you might make with bouillon cubes. Making rice pilaf? Add some nooch. Making chicken strips/nuggets? Add some nooch. Making soup? Sprinkle that bad boy with hippie glitter and then go crunch some granola. No really, it’s that versatile and amazing. 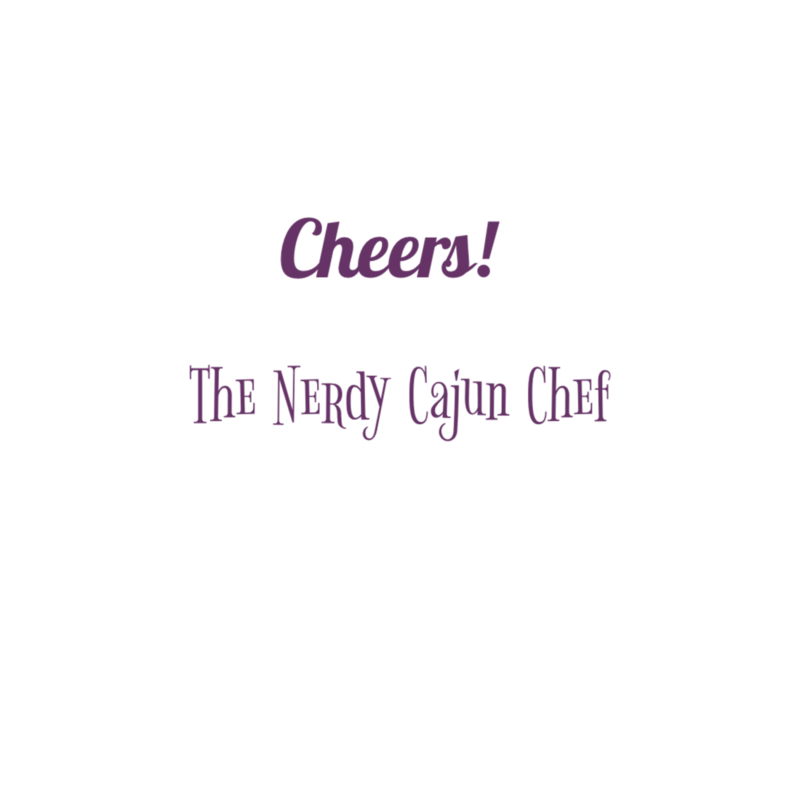 Affiliate disclosure: If you shop using the link above for nooch, I may receive a small commission from that purchase. Your price will not change. What have you tried with nutritional yeast? Did you like it? Share your thoughts in the comments section. Want more recipe inspo and cooking tips? Join the Second Breakfast Club.